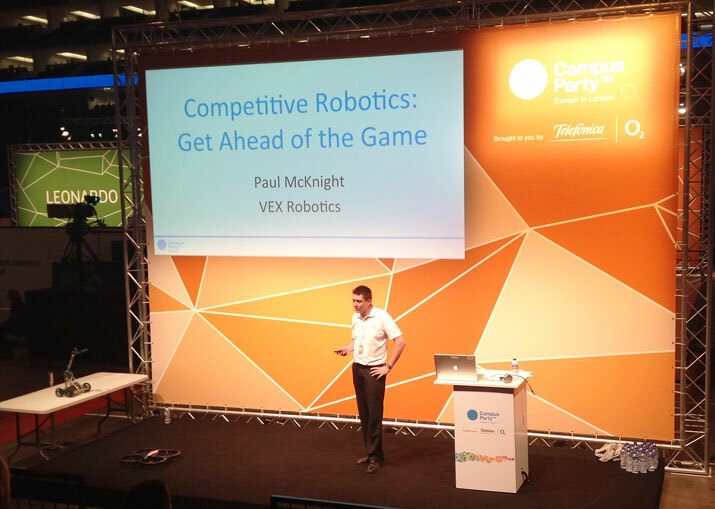 At a robotics workshop Friday September 6th at Campus Party EU in London, VEX Robotic’s Paul McKnight elaborated how robotics platforms and toolkits could be used in schools and universities to enhance education and engage young people with STEM subjects. He explained that “it’s a combination of human interaction and robots that makes VEX stand out as a platform.” The human component, according to McKnight, is essential to create functional and useful robots from robotics kit and to test and improve designs, something that he actively supports and encourages. Paul McKnight at Campus Party EU. Photo credit: Jana Witt. At Campus Party’s VEX Workshop. Photo credit: Aaron Boardley. 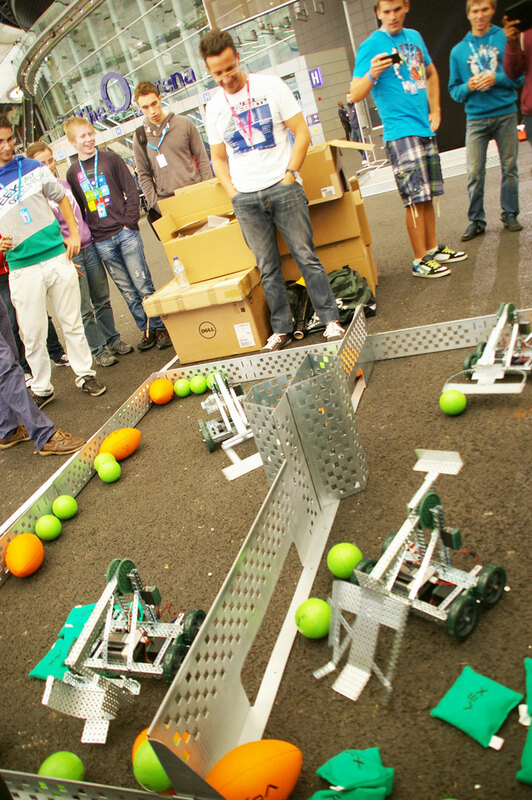 Attending “campuseros” were then offered a chance to get involved in one of two robotics challenges. 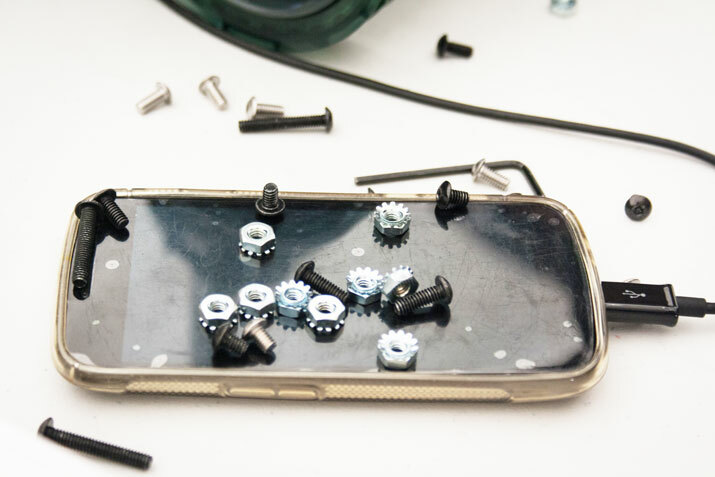 Participants could either have a go at programming a robot using their personal computers, or they could get their hands dirty in a mechanical challenge, which involved building a robot designed to compete in a game challenge. Campuseros building robots for the competition. Photo credit: Jana Witt. Campuserso perfects his design at the competition. Photo credit: Aaron Boardley. Checking code before the competition. Photo credit: Aaron Boardley. 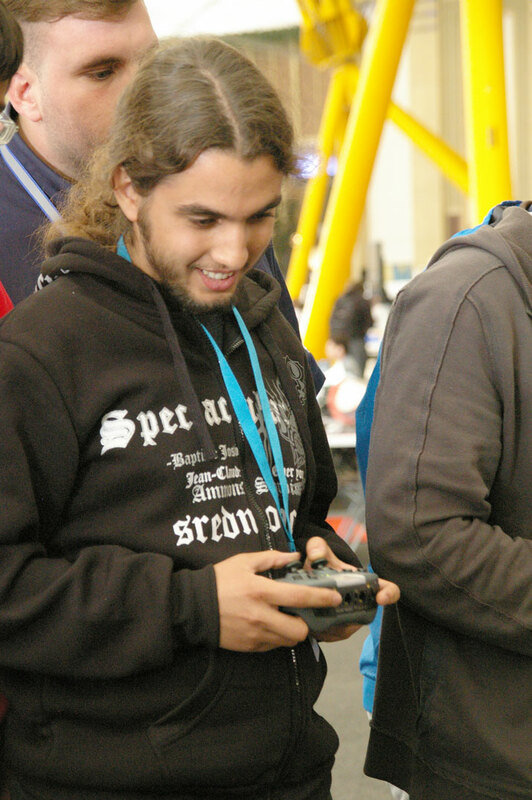 Ten groups of campuseros opted for the mechanical challenge. 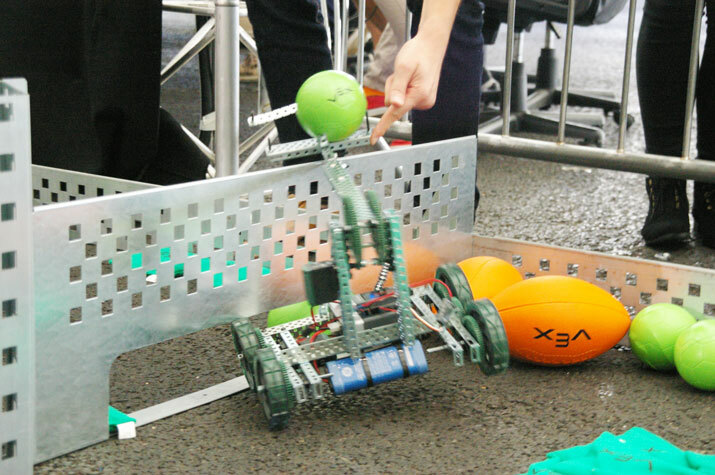 Using a prebuilt platform, the participants had to come up with a design that would enable the robot to lift, push or throw balls of various sizes and sacks filled with granules into an opposing team’s court. Really getting into the competitive spirit, campuseros battled for the best parts, tested their ideas and attempted to perfect their designs before the competitive matches began. After one hour of design time, the groups were called to compete in matches that saw a total of four robots at a time face each other in teams of two. The aim of the challenge was to fill the opposing team’s court with as many items as possible, while preventing the opposing team from filling one’s own court with the same items. Challengers try to fill the opposing team’s court with as many items as possible, while preventing the opposing team from filling their own court with the same items. Photo credit: Jana Witt. The matches were certainly one of the loudest events in the exhibition zone and attracted quite a crowd of interested passer-bys who stopped to watch. 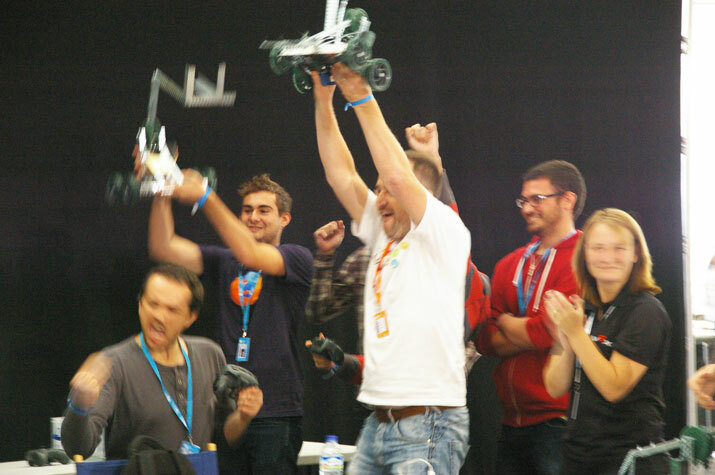 When the winners of the challenge were finally announced – after winning every single one of their matches – their joy clearly showed that robotics competitions do not only have the potential to delight school pupils, but many others too. Winning team. Photo credit: Jana Witt.